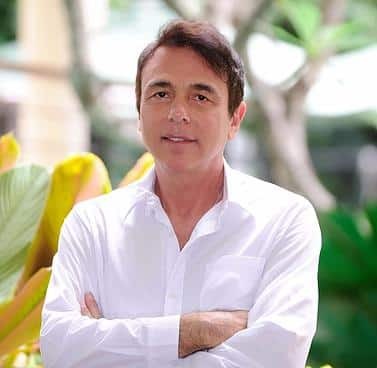 This article on the Extreme Health Radio Show interview of Dr. Lodi was originally posted on his website but we also wanted to share it with our loyal followers. Please enjoy this enlightening article and also the full length video interview below. The Extreme Health Radio show is focused on promoting true health. Their focus is not treating just symptoms which is why it was an honor for Dr. Lodi to by interviewed by Justin Stellman. The following are highlights from the radio show. The full length video is included below as well if you wish to listen to the program in it’s entirety. Justin acknowledged that Dr. Lodi was recently at The Truth About Cancer Live Symposium in Texas where he was a guest speaker. Both agreed that it is great to finally have money behind the true second opinion. This gives people the chance to be informed by a true second opinion before making what will probably be the most important decision of their lives. Justin asked Dr. Lodi if he still practice standard medicine and his answer was no he didn’t. The doctors that practice standard conventional medicine function and operate from a completely different paradigm. Our healing center, An Oasis Of Healing uses Integrative Oncology where we take the best of all the different healing disciplines and design a specific individual plan for each person. We have found that no one system has all the answers. This is the reason why we combine the best of all healing modailities available. This is the best way to help that person in need of treatment. When you have someone with cancer who’s life depends on what you do you need to ensure that you have the best and safest therapies available. Justin next asked a really good question. He asked of all ways available to help reverse cancer how do you determine the best protocol to use for each person? Mr. Stellman’s question comes from the paradigm that does not work and this gives Dr. Lodi a chance to clarify why that is. The paradigm is the one we have all been indoctrinated with by the conventional medical model. The medical model bases their beliefs on two things. The first is that DNA runs the show, therefore whatever you are born with you are stuck with. Cancer is a homeostatic corrective measure the same as Diabetes, High Blood Pressure, etc. The second part the medical model has us believing that diseases are entities or things. They want us to believe that a certain disease somehow got into your body. And now you need a magic potion to get rid of it which is completely absurd. The human body is part of nature and nature has specific laws that operate under necessity and not morality. Here is an example of this. Think of a flock of birds flying together in the sky that turn all together perfectly. They did this without rehearsal or training and they act on instinct.Well, our body being part of nature has this as well and it’s called homeostasis. Let’s say a person is eating inappropriately for their biology by consuming pizza and cheese burgers, consequently, their arteries will fill up and narrow. The body’s wisdom reacts wanting to maintain proper blood flow to help prevent a stroke or heart attack. How will the body maintain proper blood flow with narrowing arteries, as a result of increasing blood pressure. This person goes to the doctors office and the doctor says that they have a disease called high blood pressure, therefore they need a synthetic drug to fix that disease. The truth is the high blood pressure is currently saving that person’s life. It’s called a homeostatic corrective measure and it’s the same thing with diabetes. Our body’s cells become insulin resistant so that we don’t die from the sugar overload. It’s the same thing with cancer where the body will perform homestatic corrective measures in order to keep you alive. The same fundamental process occurs that produces cancer whether it’s brain or colon or breast cancer. Those are just locations where the cancer happened to develop and the location can determine the complexity in treating it. To hear the rest of the interview from the Extreme Health Radio Show with Justin Stellman and Dr. Thomas Lodi, watch this video here. They go deeper into the subject of cancer and what causes it’s development as well as the importance of a ketogenic diet in helping heal from cancer. 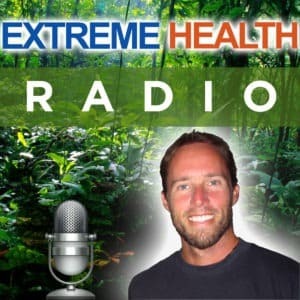 This was a great interview of Dr. Lodi by the Extreme Health Radio Show. The voice for a true second opinion or what Dr. Lodi calls a third opinion is growing in volume and reach. This is in large part due to people like you reading this article and sharing it. Thank you for your continued support!